If placing your order via our website isn't right for you, you are absolutely welcome to use our printable order form, which is great for a single gift basket order or multiple orders. Just click on the link below and print out our order form. Fill out all the information on the order form, then fax your order back to us at 450-510-3922. If you have a large order of gift baskets, you may print off extra pages of the order form for the amount of baskets you need. Once your gift basket order(s) is finalized, we will send you your receipt via email or fax, including taxes and delivery/shipping fees. Please remember that you are welcome to call, email or fax us at anytime. 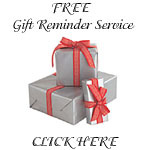 We are here to make your gift giving a wonderful experience!